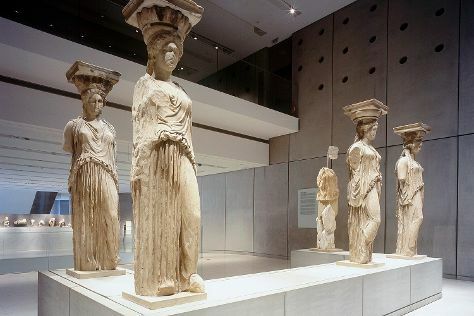 Start off your visit on the 16th (Tue): delve into the distant past at Temple of Olympian Zeus, take an in-depth tour of Acropolis Museum, and then explore the ancient world of Acropolis of Athens. Get ready for a full day of sightseeing on the next day: wander the streets of Plaka, then explore the world behind art at Benaki Museum, and then take an in-depth tour of National Archaeological Museum. For where to stay, ratings, reviews, and more tourist information, you can read our Athens online trip itinerary maker . New York City, USA to Athens is an approximately 13.5-hour combination of bus and flight. You can also fly; or do a combination of train and flight. Due to the time zone difference, you'll lose 7 hours traveling from New York City to Athens. In April, Athens is a bit warmer than New York City - with highs of 70°F and lows of 55°F. Wrap up your sightseeing on the 17th (Wed) early enough to travel to Akrotiri. 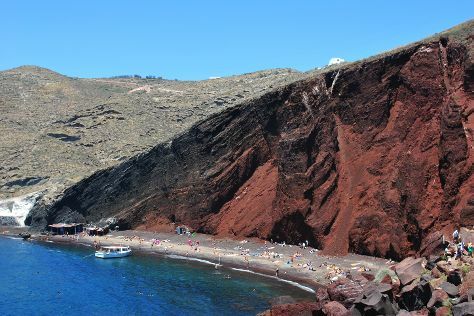 Start off your visit on the 18th (Thu): enjoy the sand and surf at Perissa Black Sand Beach, then tour the pleasant surroundings at Red Beach, and then delve into the distant past at Akrotiri. To see traveler tips, photos, where to stay, and more tourist information, you can read our Akrotiri trip planner. Getting from Athens to Akrotiri by flight takes about 4.5 hours. Other options: ride a ferry; or do a combination of flight, taxi, and ferry. In April, daily temperatures in Akrotiri can reach 68°F, while at night they dip to 56°F. Finish your sightseeing early on the 18th (Thu) to allow enough time to ride a ferry to Mykonos Town. Kick off your visit on the 19th (Fri): tour the pleasant surroundings at Panormos Beach and then stroll through Paradise Beach. To see reviews, more things to do, other places to visit, and other tourist information, you can read our Mykonos Town road trip planning tool . Ride a ferry from Akrotiri to Mykonos Town in 2 hours. Expect a daytime high around 66°F in April, and nighttime lows around 57°F. Finish up your sightseeing early on the 19th (Fri) so you can travel back home.